Perhaps I’m running through a list of things that need to get done, flinching at the stack of grading I’m avoiding, trying not to forget all that I need to do to keep my life afloat. Or perhaps I’m unconsciously thinking of new ideas, new things to try, new ways to get better at my thousand and one goals in life. And when I get too tired of thinking, I fall asleep – only to see the same worries and thoughts in my dreams. 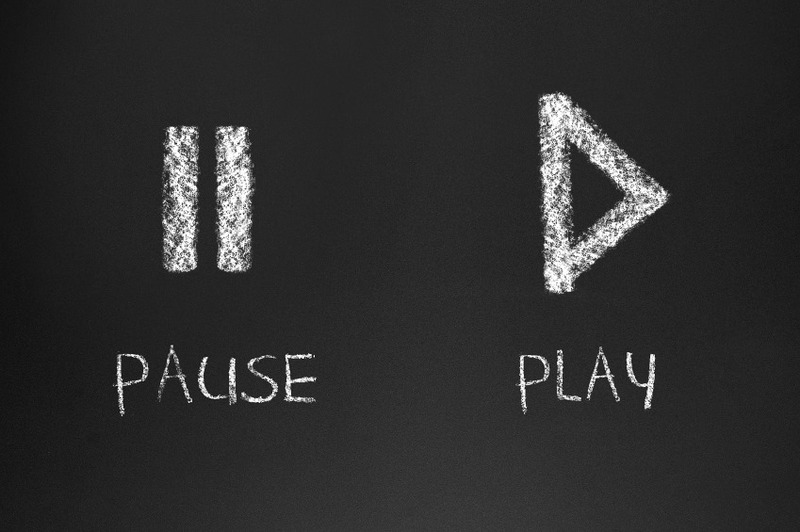 Rarely do I ever allow myself to simply pause – let my brain relax in the moment and absorb all that’s going on around me. I feel guilty when I slow down because I instantly feel like I’m being lazy and not doing “enough” to accomplish all that I need to do. The concept of rest is one of the hardest for me to absorb. Yet the artist can only paint with the colors he discovers in the pause. The writer can only write about the life he’s stopped to take note of. One can only make memories of the moments he holds with careful and focused intention. I’ve been reading Whitman’s and Dickinson’s poetry lately for my Survey of American Literature class, and I’ve been struck by the detailed notice they took of the so-called “ordinary” parts of life. Not only did they notice these details, but they painted them in rich, evocative terms – showing their true captivation by said details. And as I read their depictions of a beam of light, the cry of seagulls over a bay, the sounds of workers on the docks, I have to ask myself – when did I lose my sense of wonder at these things? The answer comes quickly: the moment I forgot how to pause and drink it in. When I allowed the stress and hurry of life to overwhelm, I became a “rusher” – a rusher of schedules, meetings, goals to accomplish, boxes to check, things to get done. A rusher who sighs with irritation at interruptions to her carefully organized schedule. A rusher who goes from one task to the next with the only goal of checking them off of a list. A rusher who wants accomplishments quickly and triumphantly instead of nourishing the steps and the growth that happen along the way. Instead I need to learn to be a pauser. The pauser looks up frequently from her work to take notice of life happening around her. The pauser just stares off into space sometimes, taking in the details that others ignore. The pauser knows how to breathe, remembering that life is happening now, so she needs to draw it in before it’s gone. In all of our rushing to “the next thing,” we don’t actually know what will happen next in our lives. So we need to take conscious joy in the moments God has given us – pausing to drink in the beauty He’s spilling all around us that we’re so quick to take for granted. We need to become good pausers, and in those pauses, we need to become good noticers – noticers of details, noticers of grace, noticers of gifts. And those pauses we take – the things we notice in those pauses – those will be the things that we turn into art – because art is finding the beauty of life and revealing it to others in ways they can identify with. Unless I myself take the time to revel in the beauty of the small all around me, I will never be able to articulate it to others. So here’s to all of us rushers too caught up in the chaos of life’s busy – who need to become pausers caught up in the charm of life’s beauty. May we learn to trace the path of a miracle because we are patiently stilling our hearts and breathing in the now. May we embrace the forming of the sentences as well as the finished book. May we celebrate the everyday routine as well as the milestones. May we cherish the scent of the burning candle, the alarm calling us to a new day, the baby’s slumber in our arms, the crumpled grocery lists, the warm mugs of tea, the banter with friends. May we hold the passing of days as God’s gifts of time and a life well-lived. May we never regret having lived “too fast” – only love the memories as they happen – one beautiful pause at a time.